So I got back from my glorious 10-day stay in Portugal yesterday and there’s nothing quite like a full day at work to welcome you back to reality. Despite the usual post-holiday blues, I can’t really complain as the weather I’ve returned to is marvellous at the moment and the boyfriend made the wise choice of presenting me with a clean and tidy flat! This trip, I also got to visit the home of my mum's good friend, who is a super creative and talented Swedish woman. She has an impeccable sense of style and is forever making over her home by rearranging things, restoring antique furniture and collecting vintage trinkets. The house is kooky in its structure, to say the least, but she’s done an amazing job at transforming her little courtyard into a really cool space. Have you been on a cheeky little trip this year, or are you considering a break at a later date perhaps? 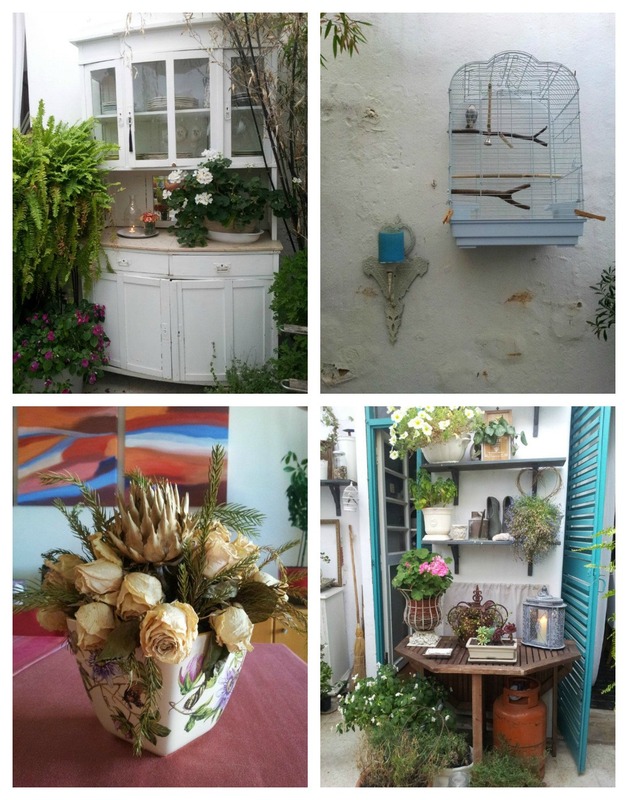 Ooh wow, so want to go back to Portugal... And I LOVE the courtyard pictures! ohh I love Portugal... I love traveling... looks like you had a lovely time. I hope to travel in October when the MBA is behind me. I did thanks Rachel - hope you go somewhere excellent in October to celebrate the end of all your hard work! Oh wow, I just love your pictures! Portugal looks beautiful and I should definitely add it to my list of places to visit! No big trips for me - but perhaps I may venture to Montreal later this year? I strongly recommend it Kika! Oooh, Montreal sounds great...I'd love to visit Canada one day *sigh*! No trips for me this year-- I moved earlier this summer, so that sapped up most of my energy/cash. Next year, hopefully! :) I'm hoping to get a little three-day weekend in before the end of the summer to do some hiking, if work isn't too hectic. Thanks...I never know if people will hate this kind of post! Shame you're not going on a trip this year, but moving is hard work and I'm sure it'll take you a while to settle in nicely...by next year you'll hopefully have saved enough cash for a lovely break! You look like you had a wonderful time! I'm off to new zealand for a holiday, and again for work. Then around Australia for work. Nothing as exciting as portugal! Oh wow, how nice that you get to travel so much...enjoy!!! Thanks Roo! What can I say, it's a gorgeous place! Your photographs are beautiful! It's so interesting to see what else sewing bloggers get up to in their "real lives." I'd love to go to Portugal some day. Happily I've just booked my first vacation in 3 years, although it's nothing exotic. Just a week sitting on the beach relaxing in Hilton Head, South Carolina! 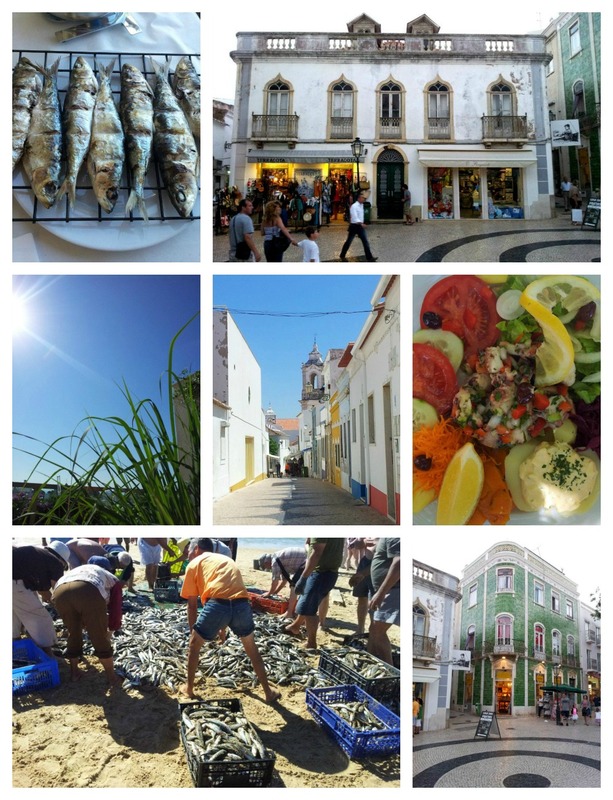 They are taken in the Algarve and Lagos specifically, so it might just be that a lot of the towns there have a similar feel to them? Hum, I'm trying to remember which towns we visited... I think Lagos might have been one of them actually, how fun! :D It really is a beautiful part of the world!